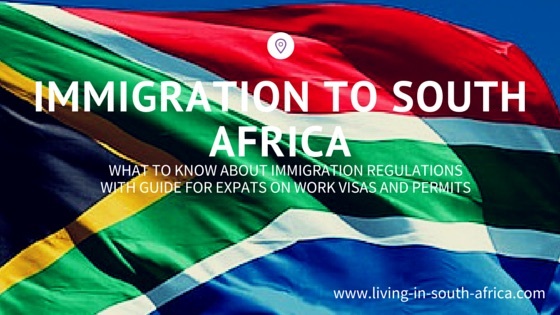 Immigration to South Africa | What to know about South Africa Visa? For your immigration to South Africa, whether you move to South Africa or come for a visit, you must have a valid visa or residency permit when entering the country. South Africa is a popular expat destination and the latest statistics show that just over 3% of the country's population are foreigners. Foreign residents in South Africa can apply for various permit categories and temporary or permanent residency permits. When entering the country on a temporary basis, the relevant category of visa has to be specifically applied for and cannot usually be changed when in the country. There are also permanent residency permits for applicants who intend to live in South Africa as permanent residents, want to invest in the country and who meet specific criteria. New immigration regulations were introduced in South Africa in May 2014 and further changes regarding travel with children came into effect on 1 June 2015. Visa applications will not anymore be handled directly by the offices of the Department of Home Affairs in South Africa as VFS Global was appointed to establish and manage a call centre for the Department of Home Affairs to assist clients with relevant enquiries and above mentioned applications. Under the new regulations, the term 'visa' replaces the term 'permit' except for the permanent residence permit. Temporary residence 'permits' will be in future referred to as 'temporary residence visas'. Further, first time applications for temporary visa must be made at the foreign mission in the country of origin or where the applicant permanently resides. When in possession of a tourist visa, no changes to the category can be effected within South Africa, spouses or life partners have to submit their first application for a temporary permit from their home country. Only renewals or extensions within the same category can be made in South Africa. Foreigners with long term visa (work permits/permanent residency permit) in the neighbouring countries who transit the Republic to return to their employment or residence are not subject to the transit visa, provided they are in possession of proof of their status. from: 'Living in South Africa' expat guide book. Foreigners applying for a change of visa must approach either the South African foreign mission in their country of residence or can apply, in certain circumstances, at the local VFS visa offices in South Africa. Various documents are required to be submitted with visa applications. In the 'Living in South Africa' book we will give you further tips regarding submitting your documentation. Quota Work permit and exceptional skills work permits have been repealed, however a critical skills work visa has been introduced. Intra-company transfer work visa will be issued for a period of four years. Persons issued with a business visa must prove that 60% of the total staff complement is South African citizens or permanent residents. Read more about working in South Africa and the various work visa here. Foreign nationals, including their children, have to submit their application, supporting documents and biometric data in person at the VFS Global visa facilitation centres. Applicants are permitted to bring somebody to assist, such as an immigration consultant or relocation specialist. Foreigners in South Africa, need to apply and register online, apply for an appointment, pay the relevant fee and then must visit the nearest VFS centres for submitting biometric data (digital finger prints and facial scan) and supporting documents. Remember to check carefully for all necessary documents to bring, as you can only file the documents at time of the application at the VFS centre and cannot add on further documents at a later stage during the application process. You will run the risk of getting your permit or visa refused, when you do not hand in all necessary documents at the initial stage. Read the Department of Home Affair's step-by-step guide here. How much does a South Africa visa cost? For all visa and permit applications the Department of Home Affairs (DHA) fees apply. These are fixed costs depending on the visa and permit category and range between R425 and R1520. An additional new VFS service fee of R1350 (for all visa and permit applications) is charged from now on whether the Department of Home Affairs charges a fee or not. Thus spouses and dependent permits which are still free of a DHA charge, however attract a VFS service fee. The fees can be paid via EFT. Be aware that fees for optional services, such as copy fees, internet access or sms notification fees, will be charged on top of the standard VFS fee. Where are the VFS centres? The centre will operate between 8h00 to 12h00 and 13h00 to 17h00, from Monday to Friday. Image credits on Immigration to South Africa: shutterstock, SATourism and own images. 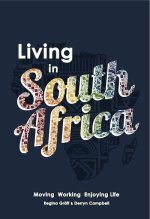 Order your copy of the Living in South Africa guidebook.